I'm ALL IN! SIGN ME UP! Hi, I'm Ellen Olson. Owner of Skin and Tonic, practicing licensed esthetician and certified holistic nutritionist, combining nutritional guidance along with customized skin care to treat clients with problematic skin. I have spent the last 20 years mastering Holistic Skin Care & Nutrition; changing my clients lives with my fine tuned program. This isva program that I follow myself and now I am offering to everyone. What if I told you that you could clear your acne without investing in one single skin care product? What if I told you that simply changing your dietary habits could change your skin for life? I will lead you on the path to clear skin by guiding you on a 6 week skin detoxification, called the Whole Body Detox! Many clients who have completed the whole body detox have seen immediate results and have completely cleared their eczema and drastically reduced rosacea symptoms. These before and after photos of my skin are mind blowing. My face was inflamed, uncomfortable and I used massive amounts of cover up to feel "good" when I went out of the house. No amount of products alone could conquer my eczema. It wasn't until I really focused on my diet that it begin to heal. The before picture was taken at the beginning of my journey, years ago. The picture on the right is directly upon completing my 30 Day Hydration Challenge. The results are amazing! I look younger and I feel younger, inside and out! I want to share my secrets with you! A customized plan focused on anti aging and clearing the skin and digestive tract. This is an extremely healthy plan and anyone can do it. Even if you aren't concerned about having "troubled skin". I'd like to invite you to keep reading about how the Whole Body Detox can transform your life! Seriously! WHAT IS THE WHOLE BODY DETOX? The Whole Body Detox takes an internal approach with a 6 week detoxifying food cleanse to reset your entire body by strengthening the digestive system and flooding the body with nutrients, thus reducing inflammation. This is a food cleanse that takes 6 weeks to complete. We will be removing alcoholic beverages, all sugar including fruit, dairy, soy, coffee, legumes and grains for 4 weeks. By week 6, you will begin to understand how to add these items back into your diet in moderation. In the first week, we teach you how to properly hydrate.About 90% of clients we see suffer from internal dehydration to some degree, which is very bad for acne prone clients because you will end up producing more oil to make up for water loss in the skin. Dehydration also causes toxins to become trapped within the skin, welcoming large cystic acne and pimples. Without sufficient water intake those toxins cannot be flushed out properly. Week 4 introduces proteins such as nuts and eggs but still refraining from eating heavy meals past 6 p.m. to make sure the digestion still isn’t being overworked during the hours it begins to slow and rest. 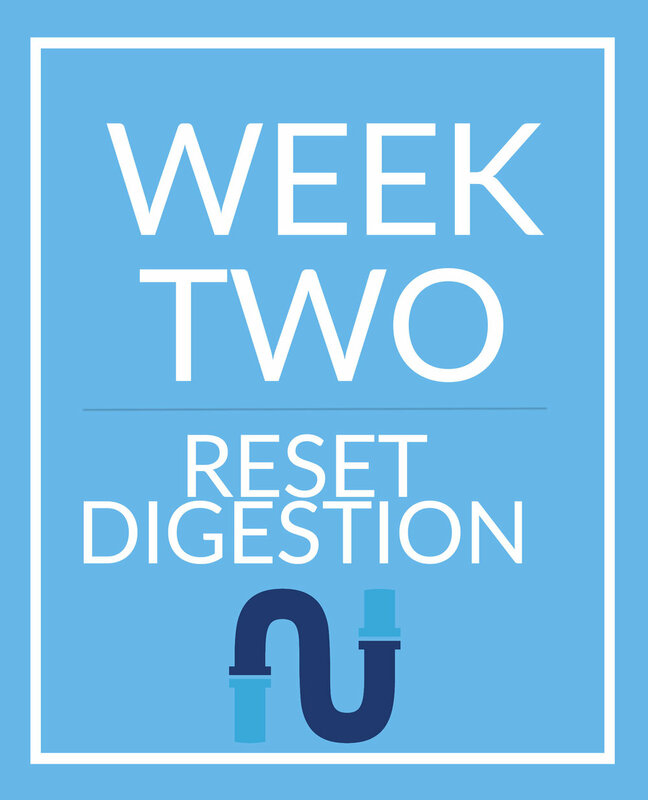 Week 2 is about resetting the digestive tract, the most overworked system in our bodies. Even though you may not be experiencing any digestive issues, stress, environmental toxins, poor food choices, coffee, alcohol and use of antibiotics takes its toll, creating an imbalance of bacteria and yeast, weakening the digestive tissue and affecting all other systems in the body, especially hormones. Week 5 - We add meats back into the diet. This is where clients really notice a difference in how they are feeling. Some find that meats just don’t agree with their digestion and their skin. We continue to eat our heaviest meals before 6 p.m. 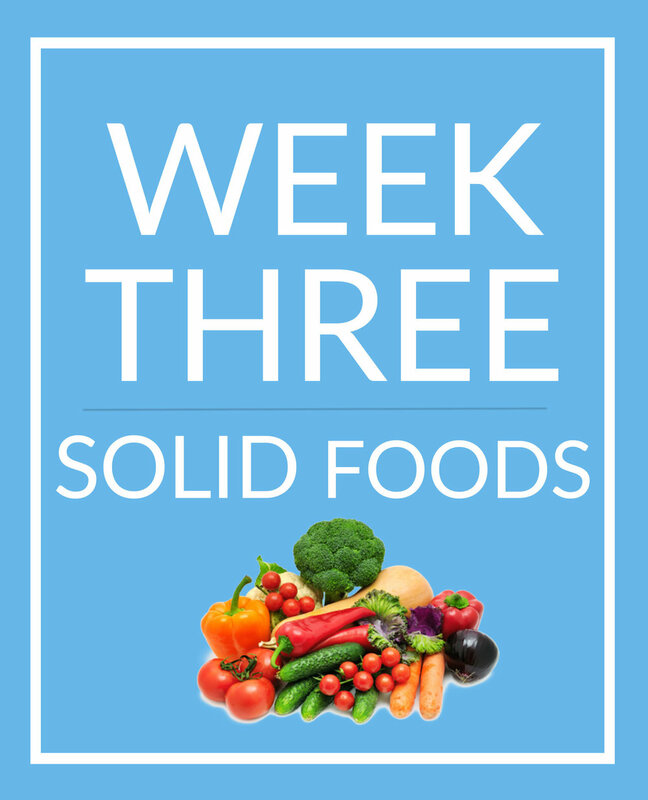 In week 3 we introduce solid foods back into the diet but just eating cooked vegetables and staying away from large amounts of food consumption past 6 p.m. to continue not to overwork the digestive tract. You will be able to have some fats and non dairy milks in this portion! Week 6 - Fruit! We add fruit back into the diet and teach you the ways to eat a healthy anti-inflammatory diet to keep your skin in check! WHO SHOULD DO THE WHOLE BODY DETOX? You've really tried everything. You're discouraged and not seeing results not matter what you do. To treat an external problem with the skin, you must treat it internally using food as medicine. Blackheads, pustules, cysts, whiteheads or various forms of breakouts. Rosacea, small, red, pus-filled bumps, facial redness, flushing, and visible blood vessels. Inflammatory skin diseases like eczema, psoriasis. Complete guide with online support to be successful. Discount on Skincare Treatments at Skin and Tonic if you are local. A customized 6 Weeks meal plan with recipes along with group coaching and group consulting at a huge discount. A monthly newsletter full of tips, recipes and specials just for you. Membership to our EXCLUSIVE Whole Body Detox Facebook group. Show off your selfies and share stories, recipes and food prep tips. We are dedicated to providing you with the tools and skin care treatments that will give you incredible results. The success of the Whole Body Detox relies very much on YOUR COMMITMENT to the eating on plan. This is not a diet. This is a lifestyle change. The foods that are being removed from your diet are foods that cause inflammation, whether you are allergic to them or not. This diet brings awareness to symptomatic response signals from our body and you become aware 'what foods trigger what symptoms' ! This is a team effort and Studio Skin and Tonic is ready to team with you and create long lasting, hopefully, life transforming results. **The opinions on this website are our own. We are not getting paid or compensated to endorse products.